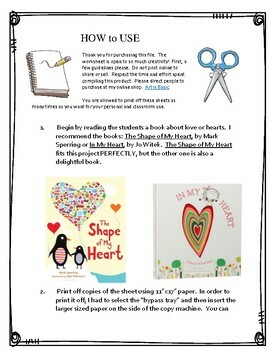 Use this 11" x 17" sheet to create artwork perfect for Valentine's Day or any day to show what lives in our hearts. 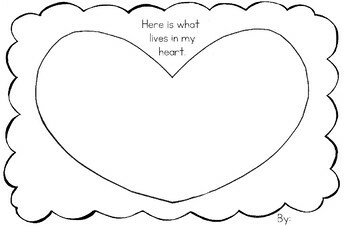 After reading a book about love or hearts (suggested books are listed), students will draw inside the heart things that represent people, places, things, food, activities, games that they LOVE. 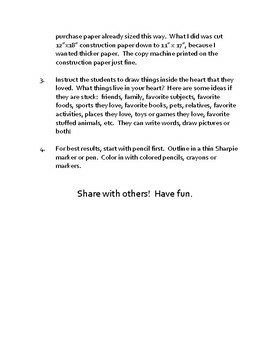 There is one worksheet, with two pages of instructions.